Event 257: An error occurred trying to start the Windows Deployment Services server. Event 258: An error occurred trying to start the Windows Deployment Services image server. Event 266: An error occurred while to refreshing settings. Event 513: An error occurred trying to initialize provider WDSImgSrv from C:\Windows\system32\WdsImgSrv.dll. Windows Deployment Services server will be shutdown. Please note that the following possible reasons, are related when all those events appear simultaneously and with the same descriptions. Event ID 513 can also appear regarding to a PXE provider error: “An error occurred while trying to initialize provider WDSPXE from C:\Windows\system32\wdspxe.dll. 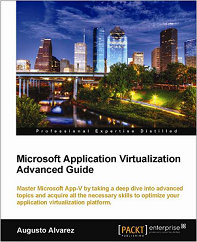 Windows Deployment Services server will be shutdown”. This particular error could happen for several reasons, like installing on the same server a System Center Configuration Manager PXE provider that replaces the WDS. 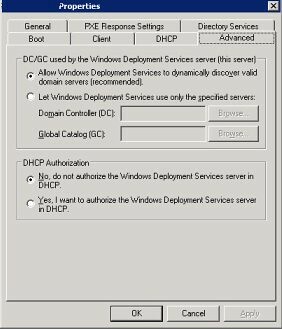 – Changing a Global Catalog from Domain Controller. 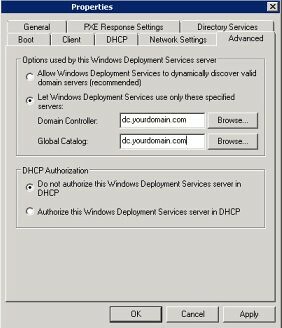 – Shutting down an active Domain Controller. To solve this, you need to insert manually the FQDN of the domain controller working as a Global Catalog. 1 – Open the WDS snap-in and access server properties. 3 – Insert the FQDN of a Domain Controller and the Global Catalog nearest to WDS and currently active (preferred in same site). Most likely will be the same DC on both options. 4 – Start the WDS Server. BINL prefers to use domain controllers and global catalogs that are available within the same Active Directory site as the PXE server (local). 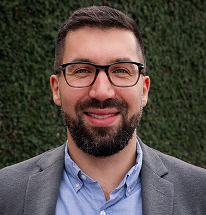 A writeable domain controller for the domain where the Windows Deployment Services PXE server resides will be leveraged when querying for selected attributes. The WDS PXE provider uses the DSGetDcName() API. It passes the DS_GC_SERVER_REQUIRED flag whenever it needs to locate a global catalog. 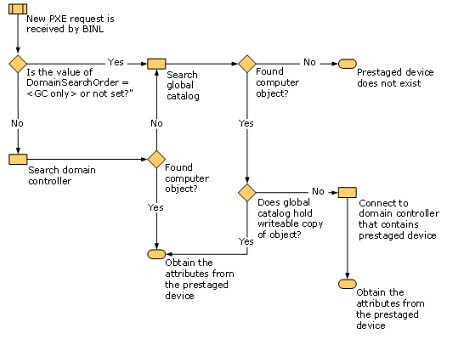 When attempting to locate computer account objects, the default search order is for BINL to search global catalogs before searching domain controllers. And of course, BINL connects directly with AD when trying to create Computer objects within the domain; or querying for other attributes. 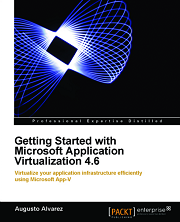 For more info, check “Deploying and Managing the Windows Deployment Services Update”. You saved my day ;) Thx a lot. That put me on the right track to solve that issue.. I was lacking of a GC on my AD. Glad that the article helped you, Erwan. Good to know about applying this fix in that situation works as well. Great tips! Thanks alot, mr. I previously was very angry, now I am placid. MS needs to do some more checking instead of just failing to start this service due to this fairly basal reason.. Thank you! Been struggling with this several hours over several days. Obviously I was totally looking at this from the wrong side. Thus missing such a simple setting.